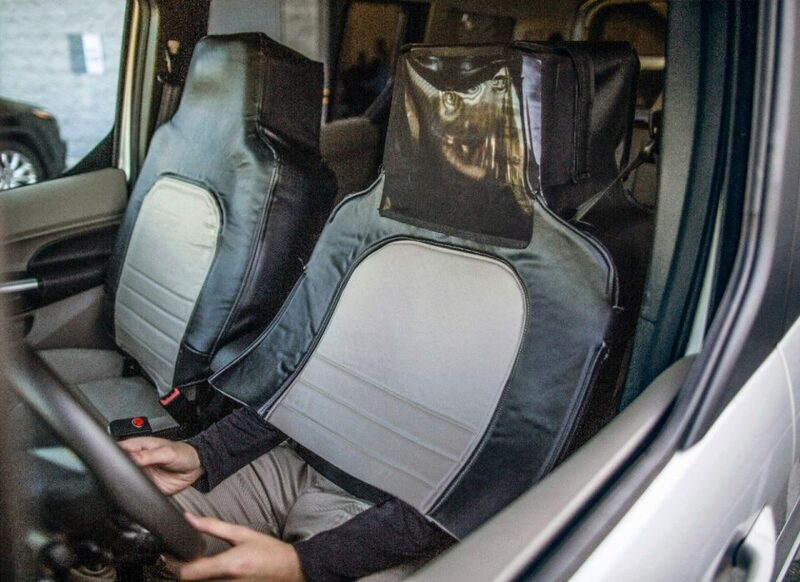 A Ford van zooming around the Washington D.C. area last month, seemingly without a human in the driver’s seat, wasn’t self-driving after all: it was a man in a ‘seat suit.’ A fake driverless car might seem like a weird experiment, especially considering the fact that there’s an entire fake town for testing self-driving vehicles at Ford’s disposal. But as it turns out, they have their reasons: observing how people react to seeing it. While Virginia Tech has already been testing autonomous vehicles in the area, they’re still using human overseers to take over the wheel in case something goes wrong. John Shutko, a Ford self-driving researcher, divulges some answers in a piece on Medium. Six different drivers wore the suit throughout August, reporting that they started out on a test track before moving onto the streets, and that the suit was definitely uncomfortable. Ford hasn’t released detailed results as yet — there is a lot of data yet to be gathered. Eventually, though, they aim to share their findings with standards-making organizations and collaborate on future industry-wide safety measures.